I had one session with Heather over the phone, mainly focusing on my social anxiety and what she sees as an issue of safety for me. I had chills the whole session. A few days go by and I start to feel so much better, I was able to talk to people normally, I could actually focus on the conversation and not try to read minds about what others thought of me. I remember I was driving home one night wondering, where did all this change come from? I almost slammed on the brakes when I realized, “oh yeah, the energy healing!” After that, I made an office appointment with Heather where I got chills again with what she saw and said. 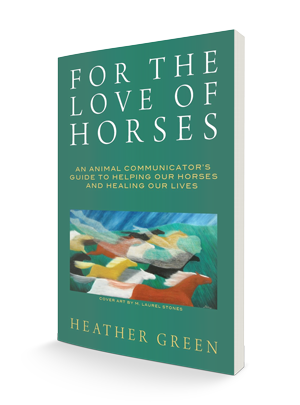 This has had a huge effect on my everyday life, which mostly consists of training young horses for three day events Since the sessions, everything with every horse has gone uphill and I really believe Heather has started to truly heal my energy fields. The horses can feel it, probably more than I can. Now I cannot wait for her to come talk to them!